Developing the tradition charted by C. Wright Mills in his 1956 classic The Power Elite, in his latest book, Professor Peter Phillips starts by reviewing the transition from the nation state power elites described by authors such as Mills to a transnational power elite centralized on the control of global capital. But within this network of transnational institutions, Phillips identifies two very important global elite policy-planning organizations: the Group of Thirty (which has 32 members) and the extended executive committee of the Trilateral Commission (which has 55 members). These nonprofit corporations, which each have a research and support staff, formulate elite policy and issue instructions for their implementation by the transnational governmental institutions like the G7, G20, IMF, WTO, and World Bank. Elite policies are also implemented following instruction of the relevant agent, including governments, in the context. These agents then do as they are instructed. Thus, these 85 members (because two overlap) of the Group of Thirty and the Trilateral Commission comprise a central group of facilitators of global capitalism, ensuring that ‘global capital remains safe, secure, and growing’. Their fundamental priority is to secure an average return on investment of 3 to 10 percent, or even more. The nature of any investment is less important than what it yields: continuous returns that support growth in the overall market. Hence, capital investment in tobacco products, weapons of war, toxic chemicals, pollution, and other socially destructive goods and services are judged purely by their profitability. Concern for the social and environmental costs of the investment are non-existent. In other words, inflicting death and destruction are fine because they are profitable. Any apparent concern for people, such as that expressed by Fink and Dimon in response to the racist violence in Charlottesville, USA in August 2017, is simply designed to promote ‘stability’ or more precisely, a stable (that is, profitable) investment and consumer climate. In other words, to elaborate Phillips’ point and extend it a little, through their economic power, the Giants control all of the instruments through which their policies are implemented. Whether it be governments, national military forces, ‘military contractors’ or mercenaries (with at least $200 billion spent on private security globally, the industry currently employs some fifteen million people worldwide) used both in ‘foreign’ wars but also likely deployed in future for domestic control, key ‘intelligence’ agencies, legal systems and police forces, major nongovernment organizations, or the academic, educational, ‘public relations propaganda’, corporate media, medical, psychiatric and pharmaceutical industries, all instruments are fully responsive to elite control and are designed to misinform, deceive, disempower, intimidate, repress, imprison (in a jail or psychiatric ward), exploit and/or kill (depending on the constituency) the rest of us, as is readily evident. For this reason I do not share his faith in moral appeals to the elite, as articulated in the letter in his postscript. It is fine to make the appeal but history offers no evidence to suggest that there will be any significant response. 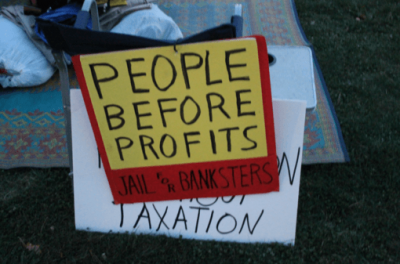 The death and destruction inflicted by elites is highly profitable, centuries-old and ongoing. It will take powerful, strategically-focused nonviolent campaigns (or societal collapse) to compel the necessary changes in elite behavior. Hence, I fully endorse his call for nonviolent social movements to compel elite action where we cannot make the necessary changes without their involvement. See ‘A Nonviolent Strategy to End Violence and Avert Human Extinction’ and Nonviolent Campaign Strategy. I would also encourage independent action, in one or more of several ways, by those individuals and communities powerful enough to do so. This includes nurturing more powerful individuals by making ‘My Promise to Children’, participating in ‘The Flame Tree Project to Save Life on Earth’ and signing the online pledge of ‘The People’s Charter to Create a Nonviolent World’. Fundamentally, Giants: The Global Power Elite is a call to action. 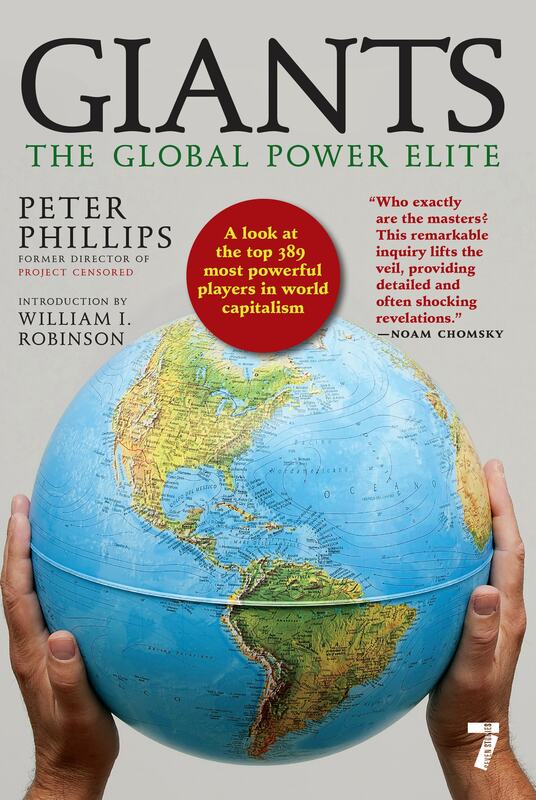 Professor Peter Phillips is highly aware of our predicament – politically, socially, economically, environmentally and climatically – and the critical role played by the global power elite in generating that predicament.